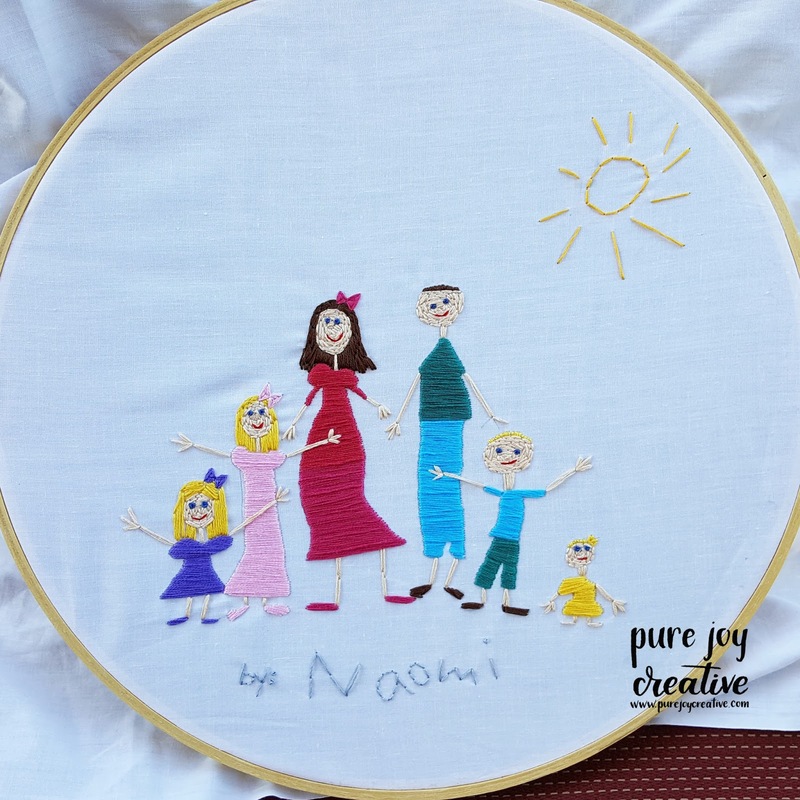 Pure Joy Creative: Embroider your child's artwork!! 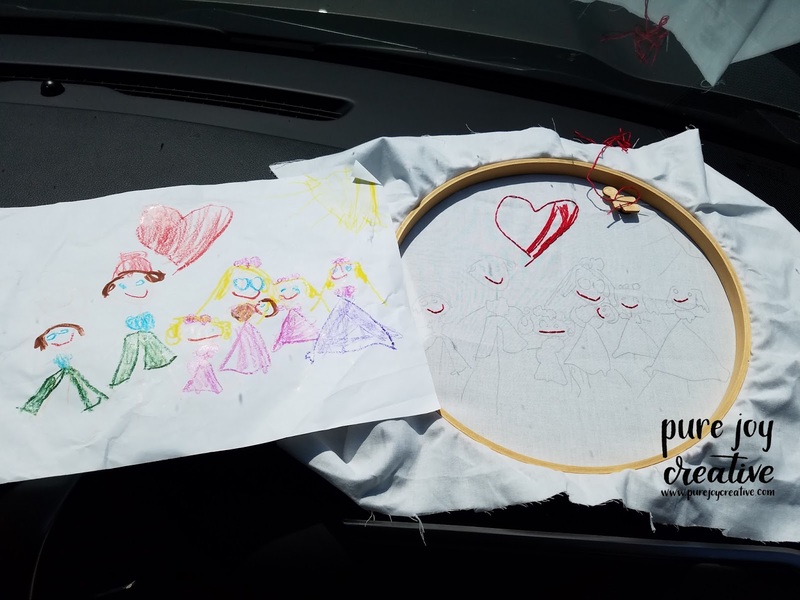 Get a big embroidery hoop...and even if you have more than one drawing to do one hoop is enough because you'll take the embroidery out and frame it...or leave it in the hoop and just buy more, the choice is yours. Next get some plain white cotton fabric and stretch it in your hoop. I like to do it "backwards" in the hoop because it's just easier to hold the hoop this way (especially with the big 12 inch hoops). 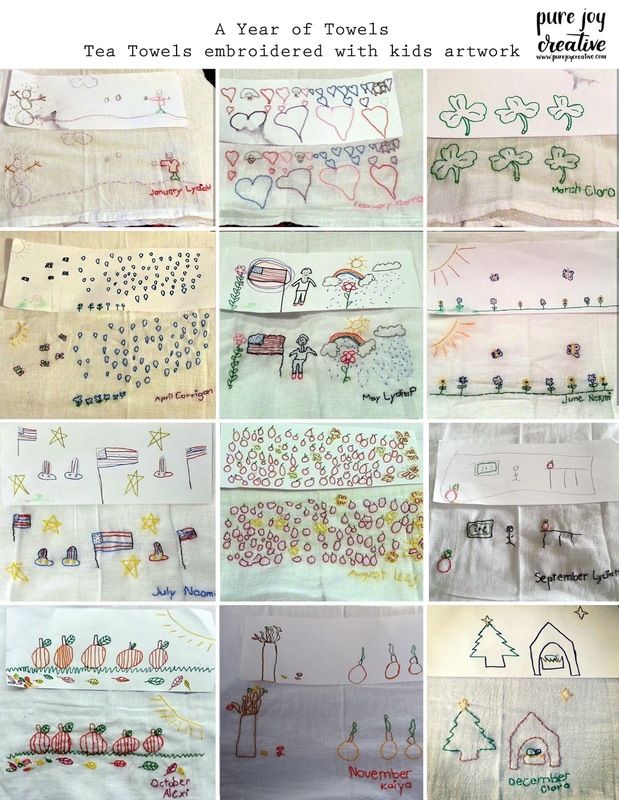 Then trace your drawing onto your fabric. You can use a window with sunlight behind it, a glass table with a flashlight or a lightpad/light table (I've used all three!). Then keep the drawing handy as a reference and just get to work! 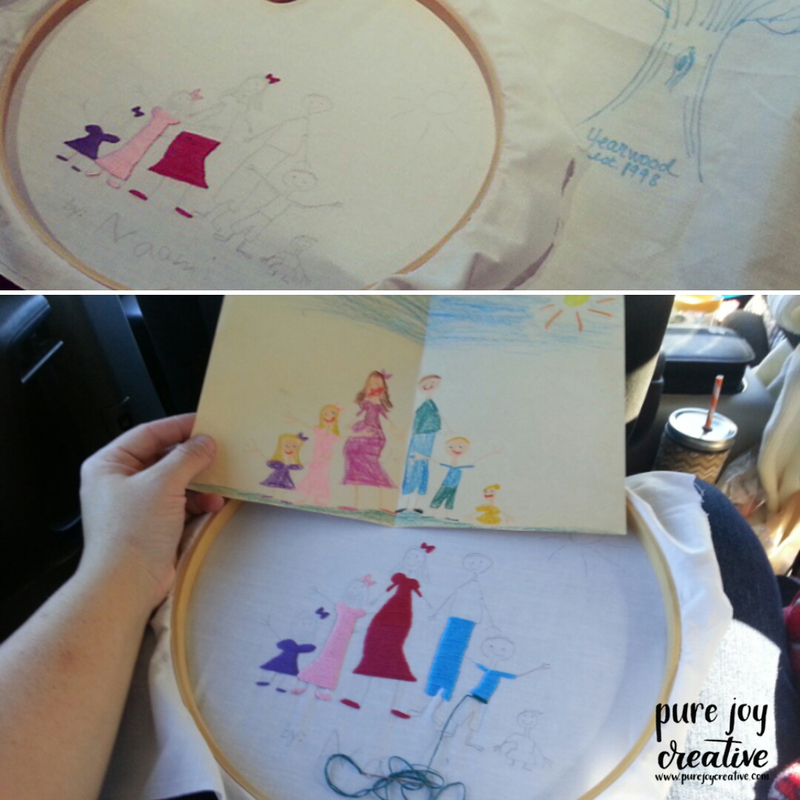 I use a back stitch for the outline and satin stitch to fill in the big parts. Those two stitches are pretty easy and if you need a tutorial check out You Tube...it's full of embroidery tutorials. Once I am done I take the embroidery out give it a quick press with a coolish iron and frame it. I like to stick my embroidered pieces onto a sticky backed tag board (which you can find at Hobby Lobby or JoAnns) so that the embroidery doesn't loose it's shape. I have had each of my kids draw our family once they turn 5 or 6 and that is the picture I have used to embroider. 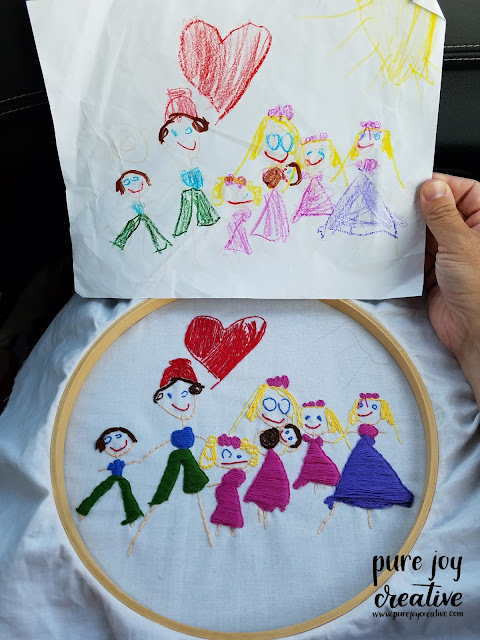 It is fun to see our family in different stages through their eyes!! My sons is one of my favorites and is kinda what started this whole thing. 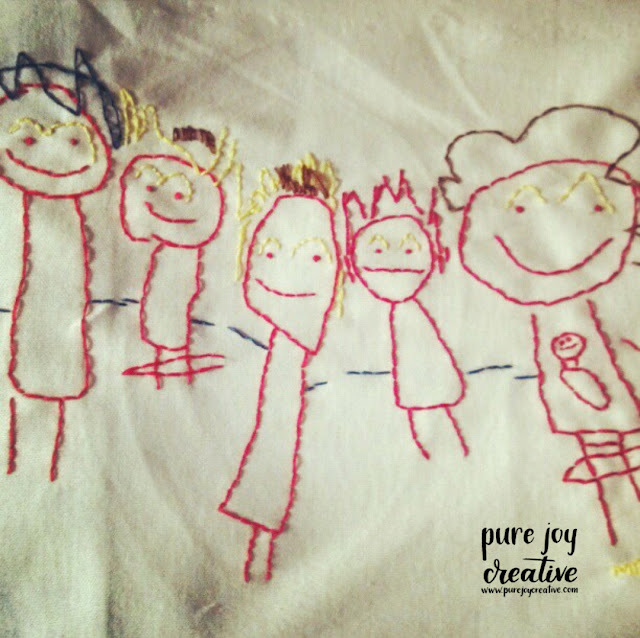 He drew our family when I was pregnant with my 3rd daughter. So precious!! I plan to frame them and hang them in sequential order going down our hall with other family photos!! 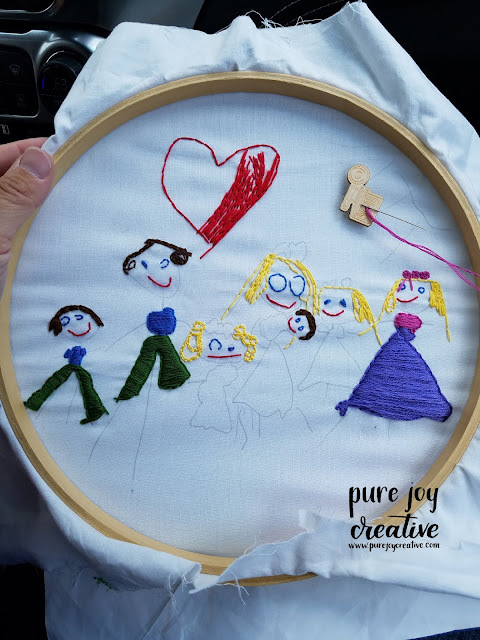 Don't forget to have your child sign their name and embroider that too (and the year and their age) so you can remember how sweet that was!! Another great way to use this technique is on tea towels. 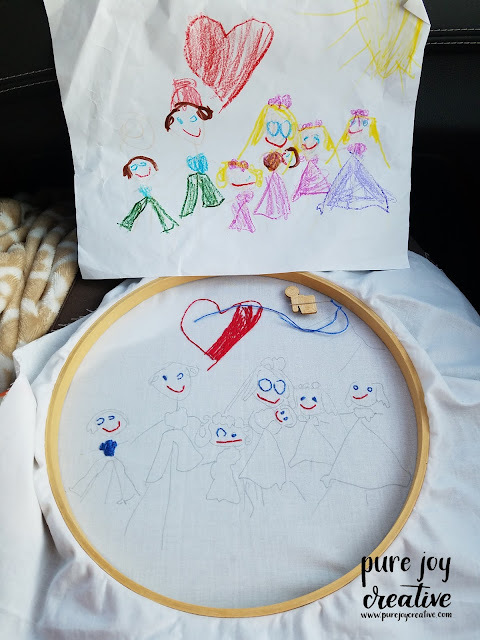 Have your kids draw on a piece of paper that has been folded in half the long way and just embroider it near the end of the towel. I actually had my daughters class do this one year for an auction item. Each kid drew a scene representing a different month of the year and we had a "Year of Towels" with their sweet drawings embroidered on them!! It was time consuming, I won't lie but it was a big hit and brought in a lot of money for the school!! I can't wait to see your kids drawings embroidered!! 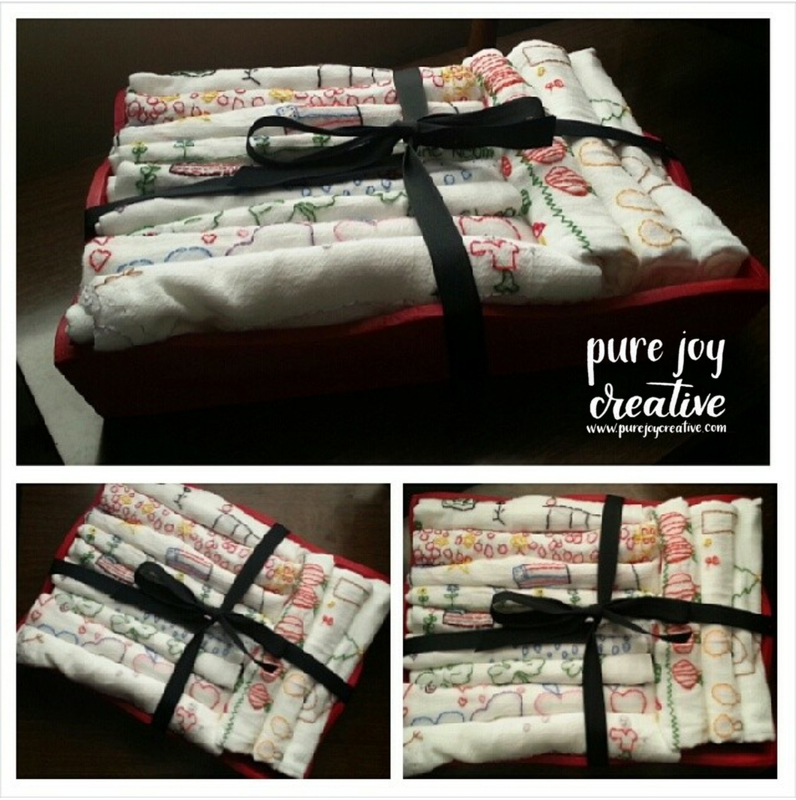 Please share with me your projects when you do work on them!